Superb family home in prime residential area. Full double glazing. Oil fired central heating. 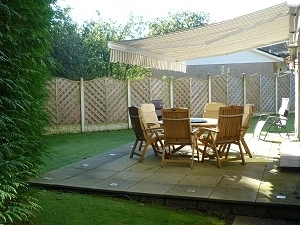 Well proportioned garden with open views over Nunholm cricket ground to rear. 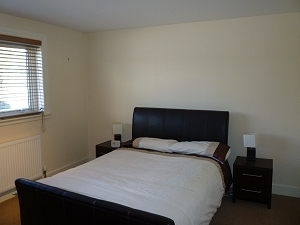 Accommodation comprises: - Entrance Vestibule, Wet Room/Sauna, Dining Room, Living Room, Family Room, Kitchen, Utility Room, Bedroom 1, Bedroom 2, Bedroom 3 with Dressing Room and en-suite, Bathroom, “Secret” Study/Boxroom accessed from concealed entrance door. Entering from double hardwood doors into Entrance Vestibule. Solid oak flooring. Two halogen downlighters. Alarm control panel. Timber door with opaque glazed panels through to Hallway with door to Wet Room leading to Dining Room. W.c., wash hand basin and shower. Mirrored medicine cabinet. Chrome ladder style towel rail. Opaque UPVC window to front with venetian blind. 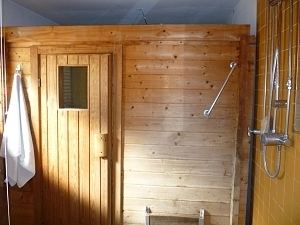 Fully functional sauna cubicle. Tiled floor. UPVC window to side. Central heating radiator. Twelve halogen downlighters. Solid oak flooring. Doors to Living Room, Kitchen and Family Room. A fantastic space. Mostly double height. Solid oak flooring. UPVC window to front with venetian blind. Central heating radiator. Glazed sliding doors lead to secluded patio area. Nine halogen downlighters. Door to Family Room/Sitting Room. Continuation of solid oak flooring. UPVC window to rear with venetian blind. Central heating radiator. Nine halogen downlighters. Fitted carpet. Fluorescent lighting. UPVC window to rear. 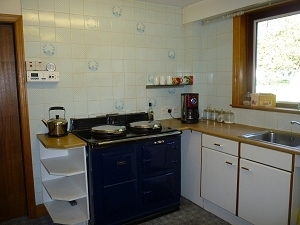 Fitted Kitchen with fully functioning Aga included. Stainless steel sink with mixer taps and drainer to side. Plumbed for automatic washing machine. Space for under counter fridge and separate freezer. Door to Utility Room. Tiled flooring. UPVC window to rear. Belfast sink. Fluorescent light. Floor and wall mounted cupboards with worktop space. Double doors to pantry/storage cupboard. Door to rear. 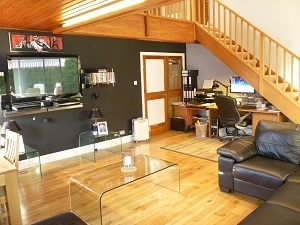 From Living Room, carpeted stairs with wooden balustrade lead to first floor Hallway. Good space suitable for study area. Fitted carpet. Central heating radiator. Six halogen downlighters. Velux window. Doors to three Bedrooms and Bathroom. Concealed door to Study/Box Room. Fitted carpet. Ceiling light. Triple halogen spotlight. Central heating radiator. 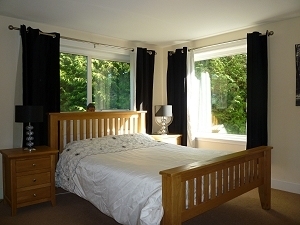 UPVC windows to side and rear with curtains and pole. Fitted carpet. Triple halogen spotlight. Central heating radiator. UPVC window with wooden venetian blinds to side. Double doors to storage cupboard with hanging rail and shelving. Fitted carpet. Central heating radiator. UPVC window to side with wooden venetian blind. Door to Dressing Room/En-suite. Door to cupboard with deep shelving. Tiled flooring. Velux window. Three piece suite in cream comprising bath, w.c. and wash hand basin on pedestal. Mira Sport electric shower mounted over bath with opaque glazed shower screen. Shaving light/power point. Access from concealed door. Fitted carpet. Five halogen downlighters. Central heating radiator. UPVC window to front with wooden venetian blinds. 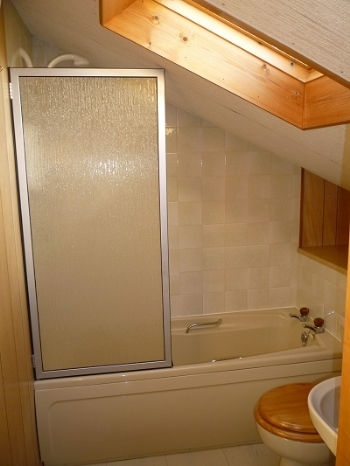 Good sized room however unusual shape with coombed ceiling and window on floor position. To the front, there is an impressive entrance to the property which sits at the head of Nunholm Road. Entrance through remote controlled electronic gates mounted on slate finished wall. Gates are connected to intercom camera. There is tarmac driveway with an area of lawn to one side and flower bed with specimen palm tree planted to the other. To the side, the driveway continues and there is a flagstone pathway around the property. 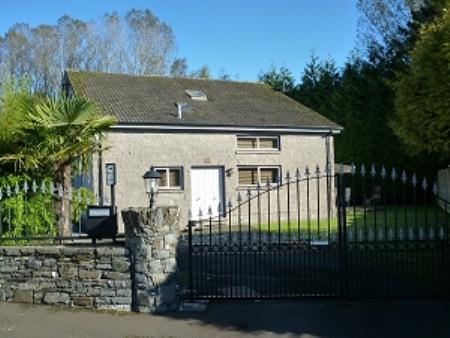 The driveway leads to a substantial tarmac carport with outside lighting and outside tap. Further flower bed with second palm tree. From the carport, there is a door to an external boiler house/storage shed. To the rear, good sized area of lawn. Bird house. Whirligig. Greenhouse. Open views over the Nunholm cricket pitch. Door to brick built tool shed. Oil storage tank. 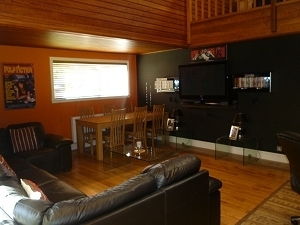 To the other side of the property, there is a secluded patio area accessed from glazed sliding doors from Living Room. Large electric awning. Patio has ground level uplighting. Boundaries are all well defined by scalloped fencing/private hedging and boundary wall. Additional items are available by negotiation with the seller. Strictly by appointment after 6pm only. Please contact the selling agents on (01387) 257300 to arrange. Offers in the region of £255,000 are anticipated and should be made to the Selling Agents.